The New Wave development in Hove is a very exciting opportunity for first time buyers, young professionals and growing families to move into a brand-new house or apartment, just a short walk away from Hove train station. All the New Wave properties are designed to make the most of the enviable location of this dynamic development; each of the 33 apartments has its own terrace or balcony and enjoyment of communal gardens, and the 3-bedroom town houses have their own good sized west-facing gardens and top floor, east facing terraces. For even more green space, New Wave is also situated close to Hove Park and Hove Lawns. We’re delighted to launch a virtual tour of New Wave. What you will notice in the flythrough video is the luxurious and modern finishing touches in every feature of the homes – the kitchen and bathrooms are created with stunning minimalist design with integrated appliances, and the way natural light has been used in the generously sized rooms to give each property a spacious feel throughout. To add to the appeal of living in New Wave, Hove, the developers have ensured that there is undercover gated parking for selected units on site – a real luxury so close to a mainline station – and there is also bicycle storage. The residential location is ideal for commuters to both Brighton and London. Brighton is minutes away on the train or bus, or is within walking distance for the more active. New Wave will help young professionals and families to achieve a fantastic work/life balance. For work, Central London is just over an hour away on the trains. The Hove station area is becoming a hub of digital industry, with several modern office blocks just around the corner offering ample employment opportunities. For leisure, the seafront and all the attractions and amenities of Brighton city centre are just a few moments away either by a short bus ride, quick drive or cycle. James Epps, Residential Director at Oakley comments, "We have experienced good demand in Brighton & Hove over the last few months from buyers who want to be close to the culture and bohemian lifestyle that this beautiful city by the sea offers. Hove (BN3) has seen the highest demand following Lloyds research earlier this year; it was dubbed the hottest postcode in England for young professionals, with its direct train line to London seeing it outstrip the capital for the third year running! We have especially seen purchasers buying properties in new build developments where they benefit from modern luxury finishes and reduced energy costs with the peace of mind of a new build warranty. 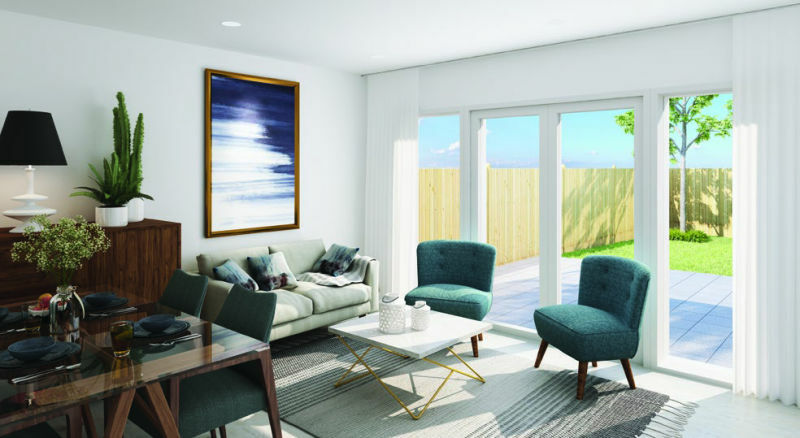 At Hyde New Homes development, New Wave, Hove we have not only seen first time buyers but a variety of people reserving off plan including commuters, local business owners and those looking to down size." We are currently offering the opportunity to reserve the New Wave homes off-plan and have a superb dedicated website: www.nw-hove.co.uk. Online you can see the fantastic flythrough video here that allows you to take a virtual tour of each of the new homes; you will also be able to check the availability, size and price of each home in the development and register your interest for a full brochure and to book a viewing. Although the photos and flythrough are computer generated, in the real world the excitement builds on the construction site as the development is beginning to take shape day by day. The expected completion date will see new home owners moving into New Wave by Autumn 2018. In addition to visiting our website, you can also speak with our Residential Sales team during office hours by calling 01273 688881.